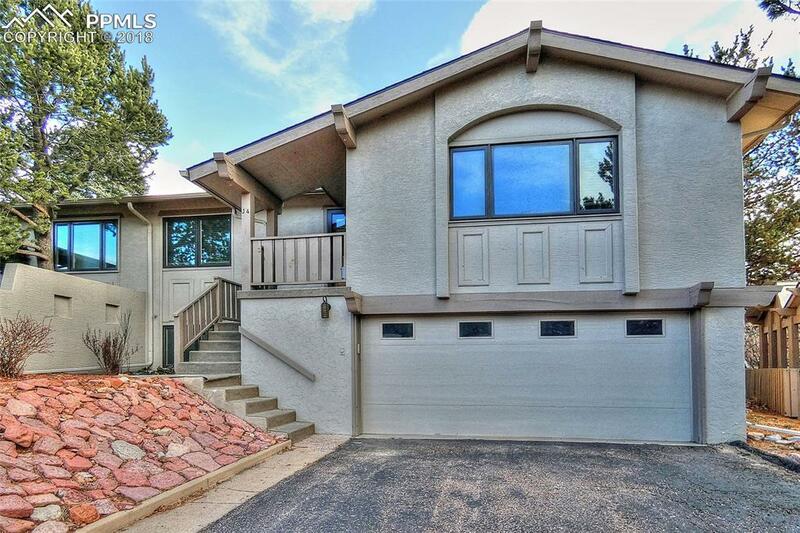 5304 Kissing Camels Drive J-4, Colorado Springs, CO 80904 (#1866060) :: Fisk Team, RE/MAX Properties, Inc.
Beautiful 3 bedroom condo in the Kissing Camels gated community. Home has hardwood floors throughout the main level. A wood-burning fire place and built-in bookcases are the perfect accent to a large, open living room with spectacular views of Pikes Peak. Kitchen features Corian countertops and brand new stainless steel refrigerator, oven and dishwasher. Master bedroom has attached tiled master bathroom and a walk-in closet with built-ins. Downstairs features an additional bedroom and bathroom with a steam shower. Other features include an over-sized laundry room with tons of storage, a covered, tiled patio off of the kitchen and central air. Listing provided courtesy of Harris Group Realty Inc.
Fisk Team, RE/MAX Properties, Inc- Licensed in the State of Colorado. The real estate listing information and related content displayed on this site is provided exclusively for consumers’ personal, non-commercial use and may not be used for any purpose other than to identify prospective properties consumers may be interested in purchasing. This information and related content is deemed reliable but is not guaranteed accurate by the Pikes Peak REALTOR® Services Corp. Data last updated 2019-04-22T10:40:54.357.